Owing to our expertise and industrial knowledge, we are engaged in offering our clients excellent quality array of Rubber Foam. Product rendered by us is acknowledged for its accurate dimension and high tensile strength. Rubber Foam is a flexible and lightweight elastomeric nitrile foam material designed primarily for Rubber Foam. 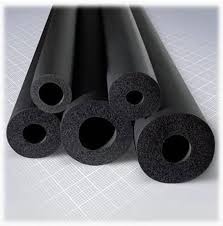 Rubber Foam is black in colour and is available either in tubing or sheet form. The extruded flexible tubing is specially designed to fit the standard diameters of steel and copper piping. Sheets are available in standard precut sizes or in rolls.